I write to inspire and help. Help yourself develop as well as finding your passion and develop your business (if you have one). 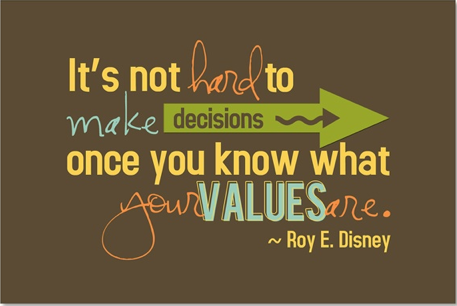 Do you know your values? our values are the foundation how we react and what we do and how we see things. Most people don´t think about it, but our beliefs determine our actions which give the result we have in life. The beliefs becomes our paradigms (we are programmed a certain way, usually all the way from childhood- what we see, hear, experience...). Many people want a different result in some areas of their lives (health, weightloss, career, finances, relationships, personality...) but they only try to change some action and after a while they fail and fall back into same track. If you´ve done that you´re not a failure- you are just perfectly normal, because in our brain there are beliefs that are very strong and they don´t let other actions rule so easily. The change have to be that we start feeding other beliefs so they grow stronger and soon make us act differently. A coach/mentor can help you in this process, because it is only just that; a process. I´m a business women in my best years :). Been entrepreneur since 26 years back, author, speaker, trainer, coach and consultant and much more. I love to inspire people to become their best in order to add value. Tilaa Kirjani "olet johtaja-olet joku"
order my book "excellent leadership"